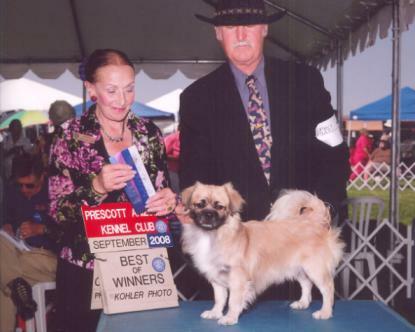 Prescott won Best of Winners for a point at the Prescott Arizona Kennel Club show under Judge Sandra Goose Allen. 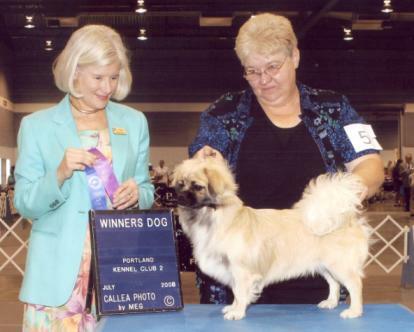 Judge Molly Martin awarded Winners Dog to Prescott at the Portalnd Kennel Club show on July 20, 2008. 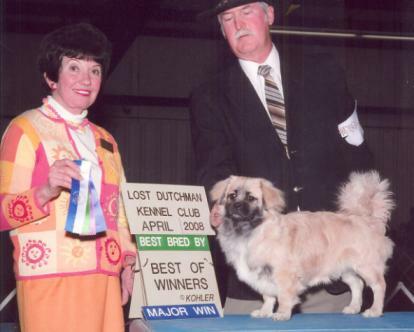 Prescott garnered his first major from the Bred By Exhibitor Class under Judge Barbara Dempsey Alderman at the Lost Dutchman Kennel Club show in April 2008. He was handled at the show by Robert.